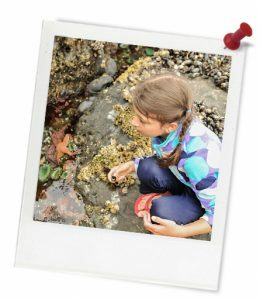 Quick summary: Through a student-led investigation, this lesson allows your class to understand why rockpools are important to marine and terrestrial species. To begin this lesson, students work in small groups to find common rockpool species. They then conduct a safety briefing before heading to a local rockpool for a ramble. Students work in pairs to find, observe and record rockpool species through scientific drawings. Years 5-6 students will consider the adaptations that enable these species to live in a rockpool environment. Students will then report their findings to their classmates. Finally, students will work as a class to collect and identify waste materials in and around the rockpools. This lesson is produced in partnership with Parks Victoria and is designed to be taught in a natural or outdoor setting. Before conducting this lesson, teachers need to locate a rockpool close to their school grounds. Contact your local council or parks department to find a rockpool near you. 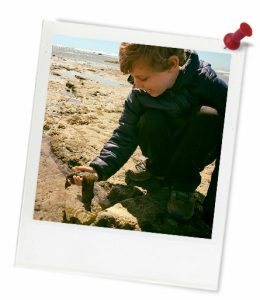 Students will understand why rockpools are important to marine and terrestrial species and habitats. Students will understand that waste items in our oceans threaten all marine life, including those in rockpools. Years 5-6 students will understand that species living in rock pools have particular adaptations that help them to survive in these difficult environments. Living things have structural features and adaptations that help them to survive in their environment (ACSSU043). Relevant parts of Year 4 Geography achievement standards: Students develop questions to investigate. They locate and collect information and data from different sources, including observations to answer these questions. Relevant parts of Year 5 Geography achievement standards: Students develop questions for an investigation. They locate and collect data and information from a range of sources to answer inquiry questions. Relevant parts of Year 6 Geography achievement standards: Students develop appropriate questions to frame an investigation. They locate and collect useful data and information from primary and secondary sources. Unit of work: Student Rangers Unit – Upper Primary. Level of teacher scaffolding: High – lead students in activity and discussion, ensure safety of students at all times. Resources required: Map of the area you will be visiting (contact your local council or parks department for more information). Victorian-based teachers can utilse the following link from Parks Victoria to locate parks: Park locator map. Alternatively, Google Earth can also be used to explore your local area. Keywords: Student Rangers, outdoor learning, rocky shore, rockpools, marine species, adaptations, plastic waste. Learning intentions: Students are introduced to the range of species living in along rocky shores, and their importance. Year 5-6 students understand that these species have particular adaptations that help them to survive in this difficult environments. ... identify some of the species that are found in rockpools along the rocky shore. ... explain in their own words, the adaptations these species have to enable them to live in the rocky shore environment. ... understand how plastic waste harms marine species. ... identify, observe and record marine species. ... create a scientific drawing. Teacher content information: All around Australia you can find a wide variety of parks, reserves and waterways that are managed for conservation, recreation and other uses. Thought starter: Why do we need to tread lightly around rockpools? What did you enjoy about exploring the rock shores? What were the best bits? What was the most interesting thing you saw or found out about rock shores and the animals that live there? Why do you think scientists study species in the rockpools along rocky shores? Why might it be important? What else would you like to know about what you saw in this lesson?